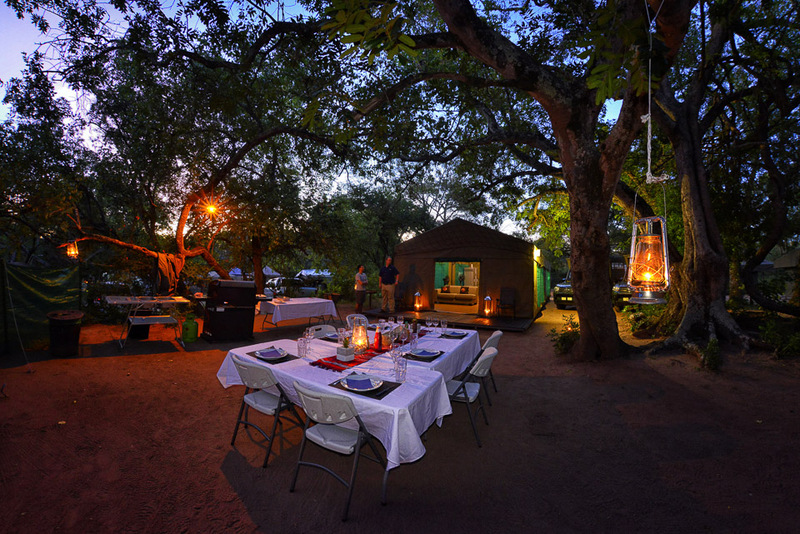 Tented Adventures Pretoriuskop is located in the South-western area of the Kruger National Park within the Pretoriuskop Rest Camp, which is nestled among beautiful granite koppies and shaded by huge Marula and Fig Trees. 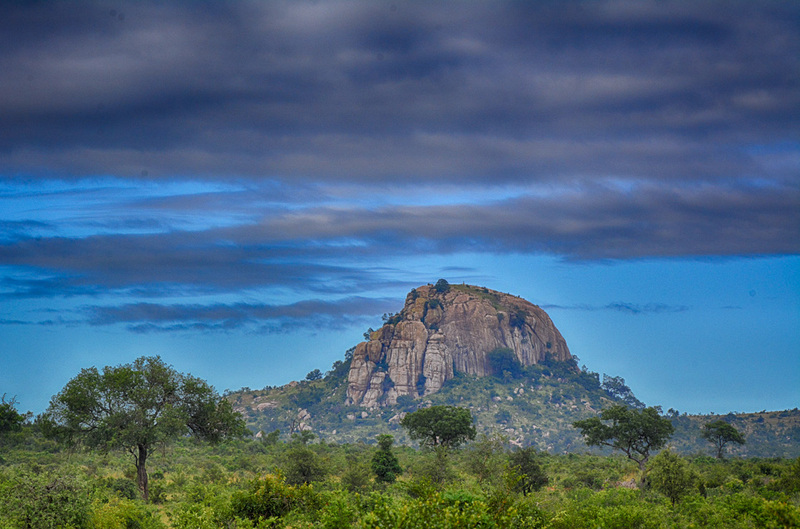 Numbi gate is the closest point of entry to Pretoriuskop Rest Camp. 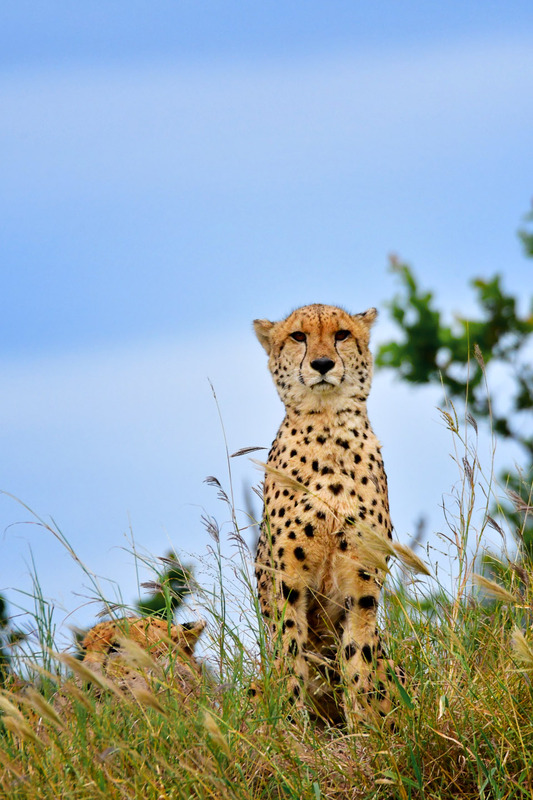 For more information or to book your stay at Tented Adventures Pretoriuskop, please click here. 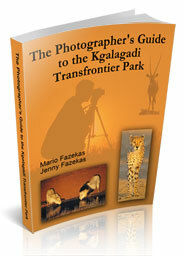 Tented Adventures Pretoriuskop is the most recent addition to the Tented Adventures stable. 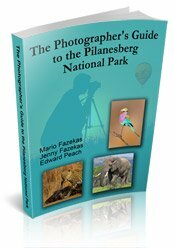 (We have also stayed at their Pilanesberg Tented Camp and had a great time there as well). 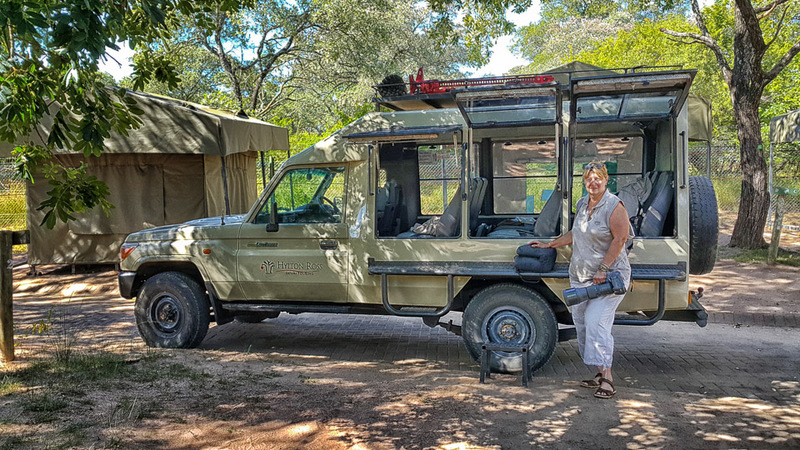 This is glamping at its best - you don't pitch your tent, make your bed, build your fire, cook your food - it's all done for you! 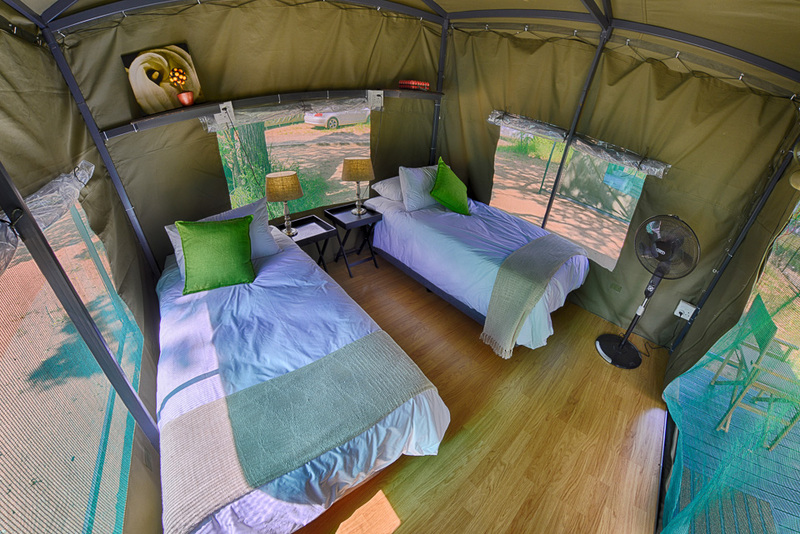 You get an authentic and affordable camping experience with luxury. On arrival we were warmly welcomed by our hosts; Temba, Stefan, Michael and Darryl who offered us a lovely fruit cocktail. 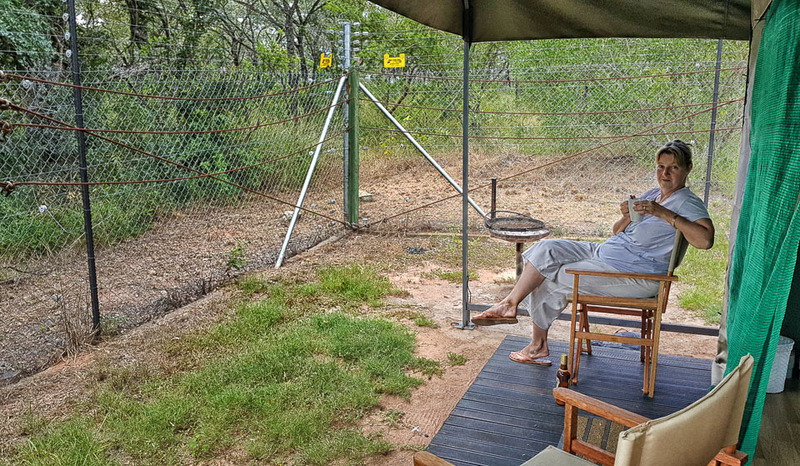 We loved the layout of the camp - the large communal tent with its large comfy lounge and dining area is shaded by huge jackal-berry trees and the small veranda is a good place to sit and watch the bird-life and mongoose. 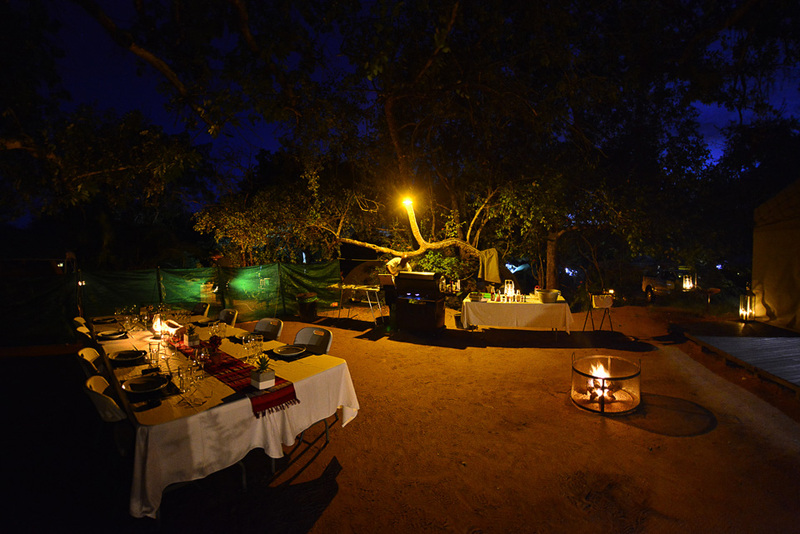 At night the fire pit and lanterns are lit which gives a romantic bush feel. 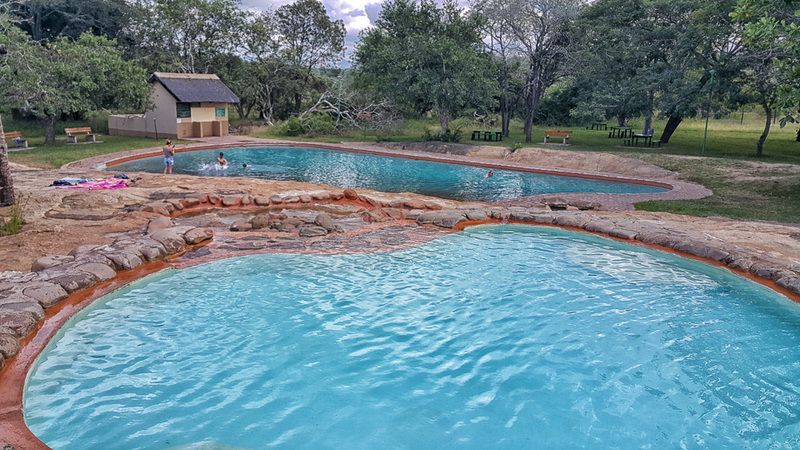 Pretoriuskop rest camp has a shop, restaurant and a large swimming pool that can be used by the guests staying at Tented Adventures Pretoriuskop. 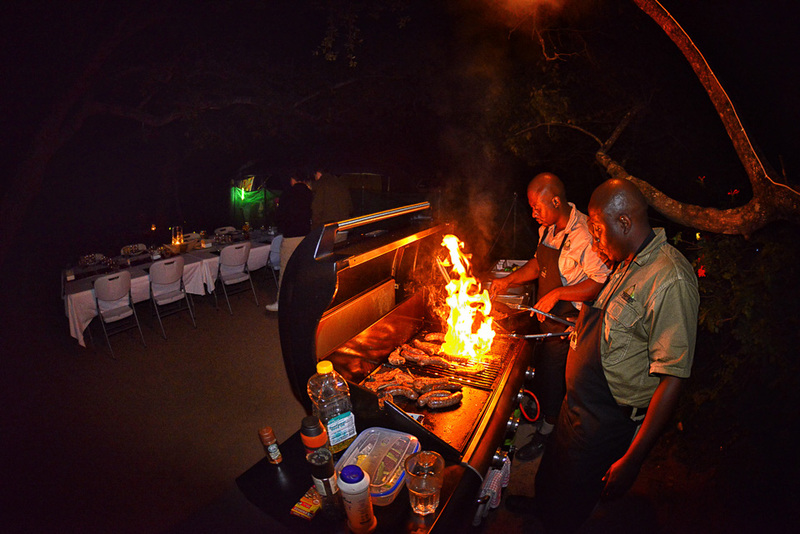 For dinner, Temba and Stefan cook over an open fire/braai and then serve your meal in the camp’s dining area, which is either inside the communal tent or under the stars in front of the tent, providing a true bush braai experience. 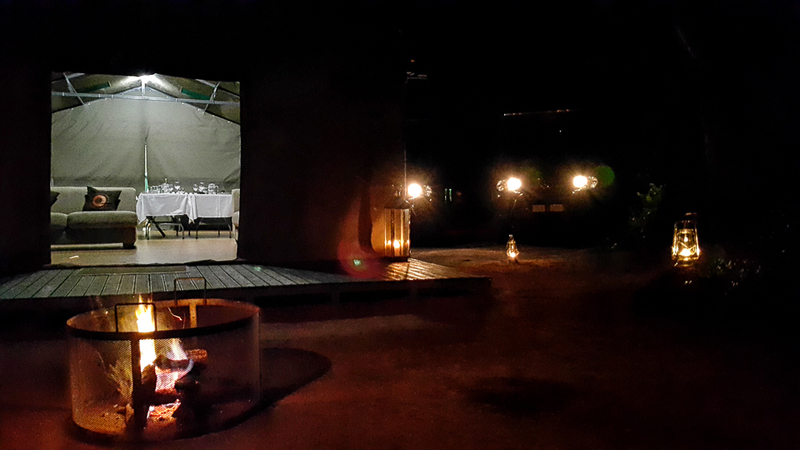 Pretoriuskop Tented Camp does serve wine during dinner but you can buy your own drinks like beer, other wines or cool drinks at the Kruger Camp shop then store them in the fridges in the communal tent. A tea and coffee station in the main tent is available all day. 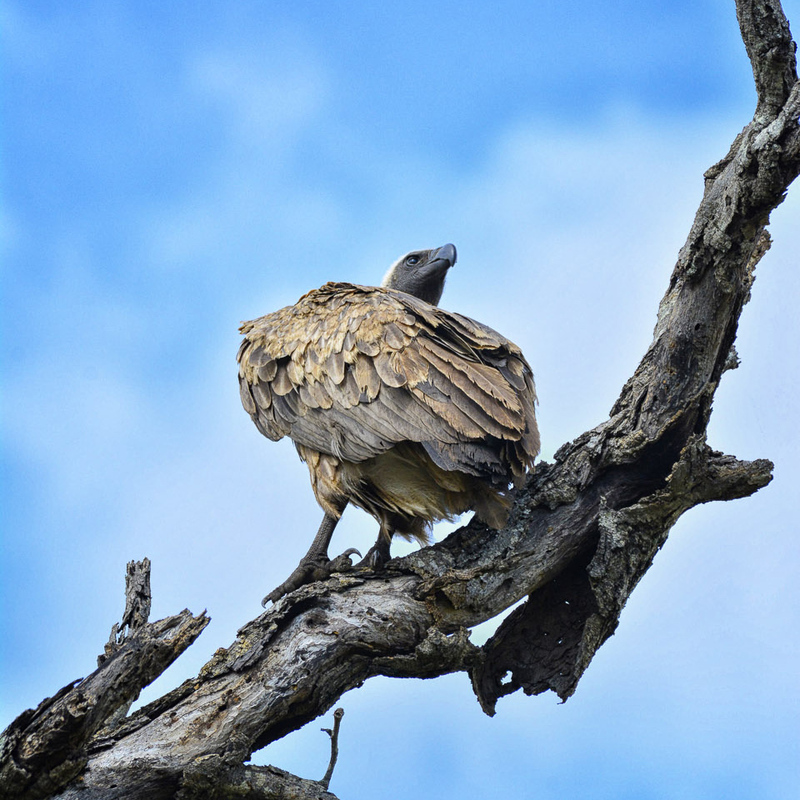 Rusks, tea and coffee are served before you morning game drive; (at the moment there are no coffee stops or drink stops during the morning or afternoon game drives, so please make sure you have bottled water to take with you and a light snack). 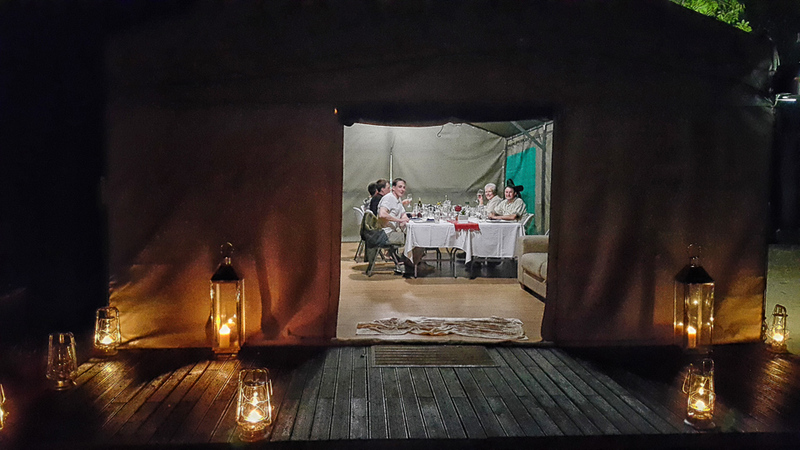 We had three wonderful dinners; two under the African sky and one inside the tent because it was raining. 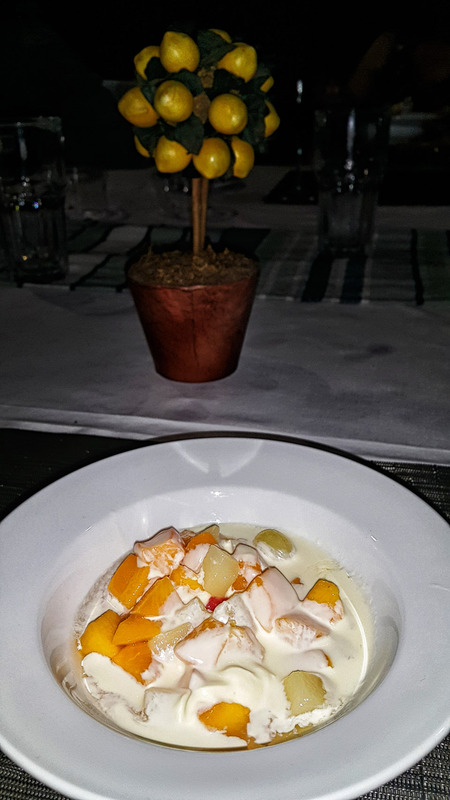 Dinner comprises of braaied meat, salads and a starch followed by a desert- each night there is something different. 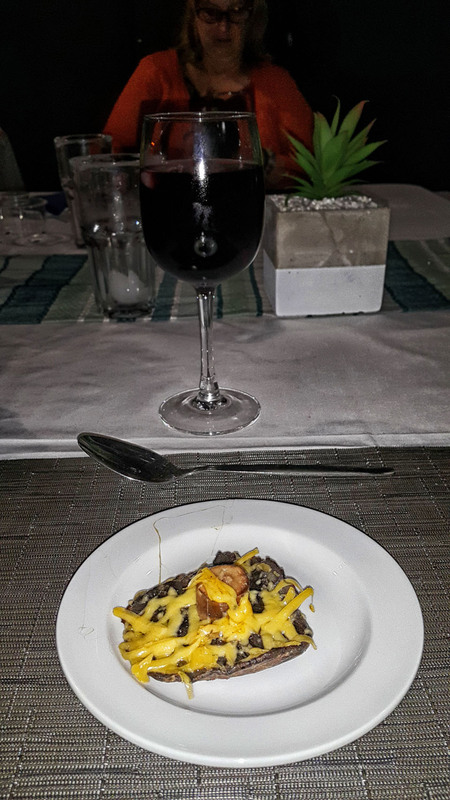 Night two we had a baked mushroom, steak with baked potato, and fruit salad and custard for desert. Night three was boerewors and lamb chops with pap and chakalaka beans and salad followed by koeksisters and coffee. 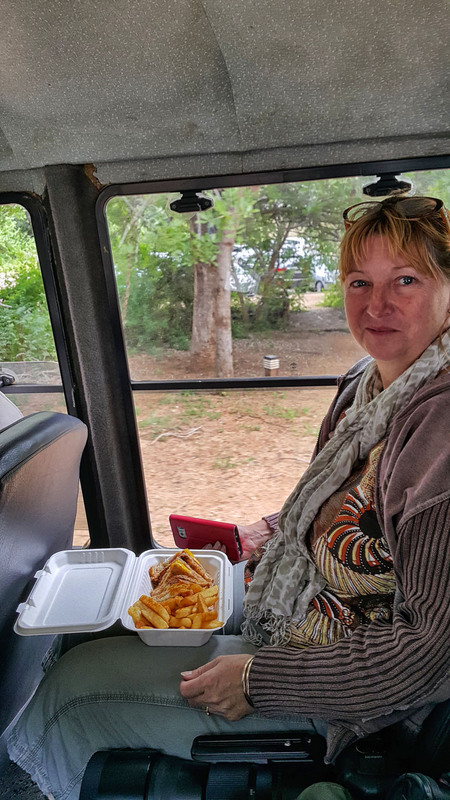 but we decided to get a quick take-away from the Cattle Baron and eat it in the vehicle as Darryl heard that the cheetahs were on Napi Road. 3. 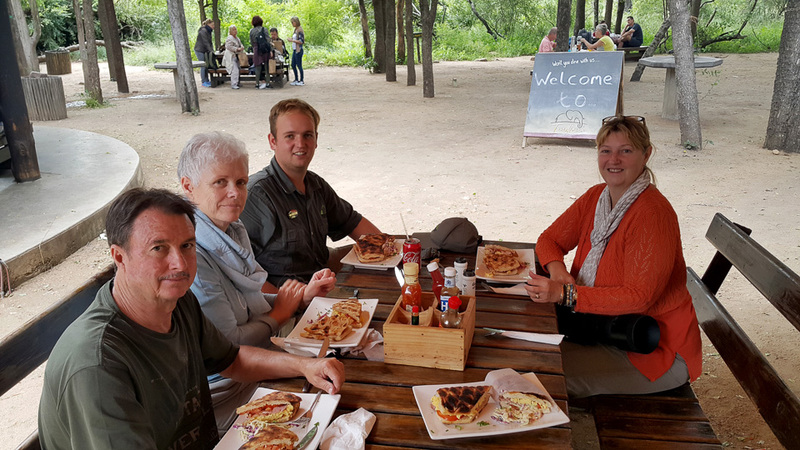 Our third breakfast was at Afsaal picnic site where we had lovely Roosterkoek with egg and bacon with coffee. 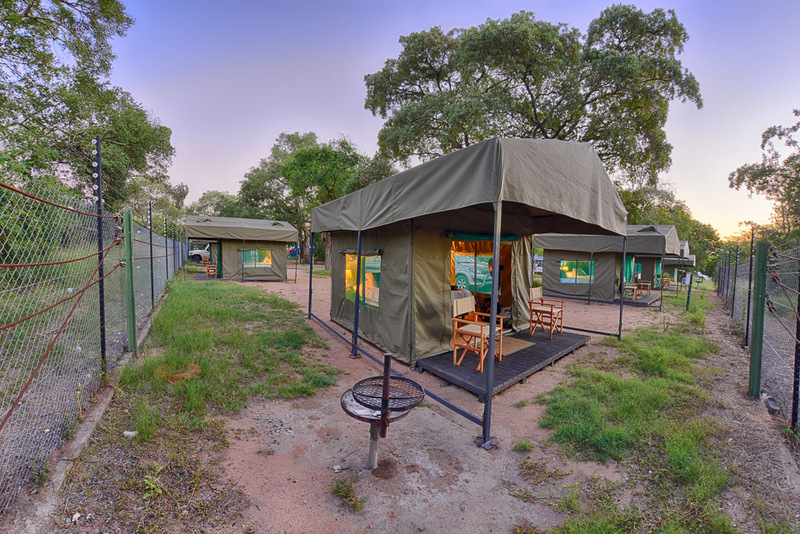 There are 8 super comfy safari-style tents that all face into the park on the camp’s fence line. 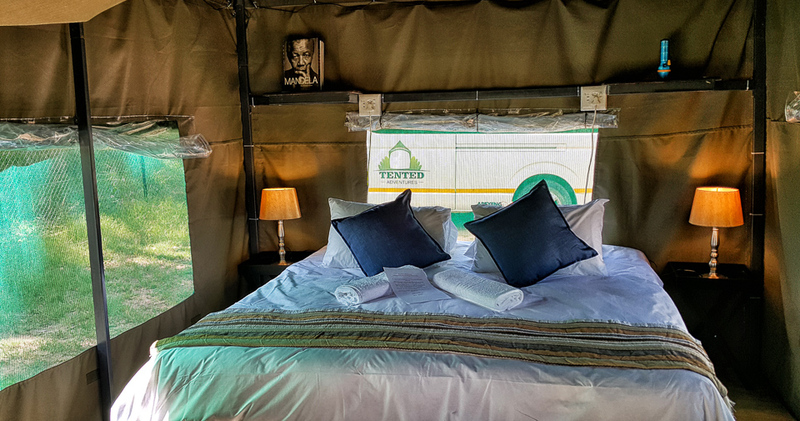 bed linen and towels, a fan, electricity, reading lamps and a small patio area with camp chairs, which gives you a great opportunity to see animals walking by. 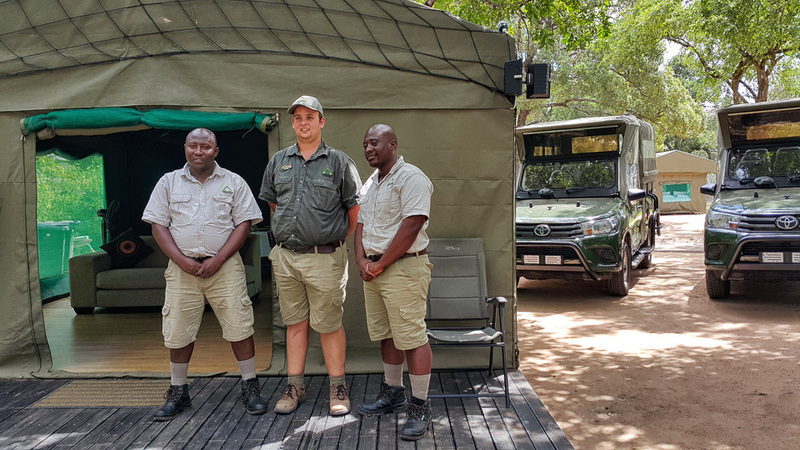 The tents are not en suite so you share the clean communal bathrooms with the campers but both the safari tents and bathrooms are serviced daily. 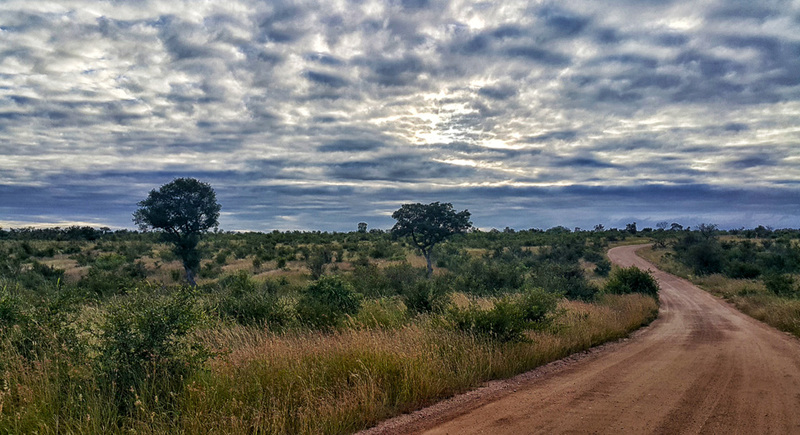 Daily guided game drives, night drives or walks are on offer, you also have the choice of doing a self-drive into the Kruger Park. 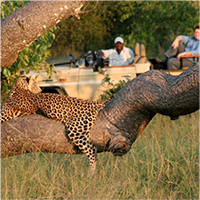 Our Field guide Darryl shared his knowledge and passion for the bush during our many game drives with him. 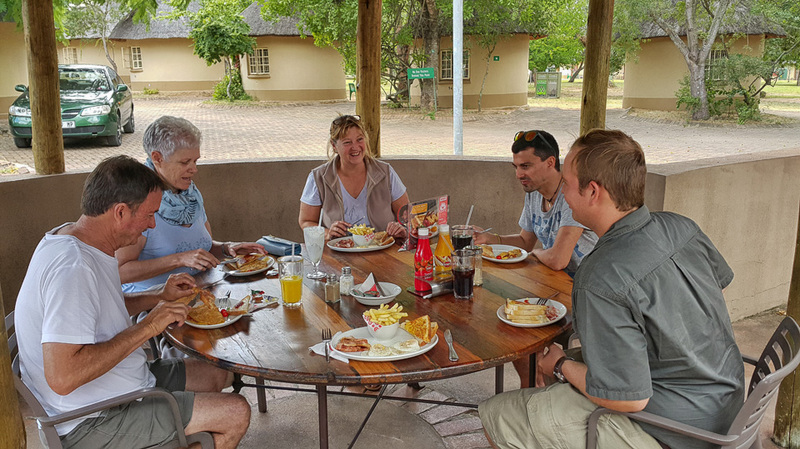 We really enjoyed all our drives and can recommend Darryl as one of the top three guides we have experienced in our twenty years of going on safaris. 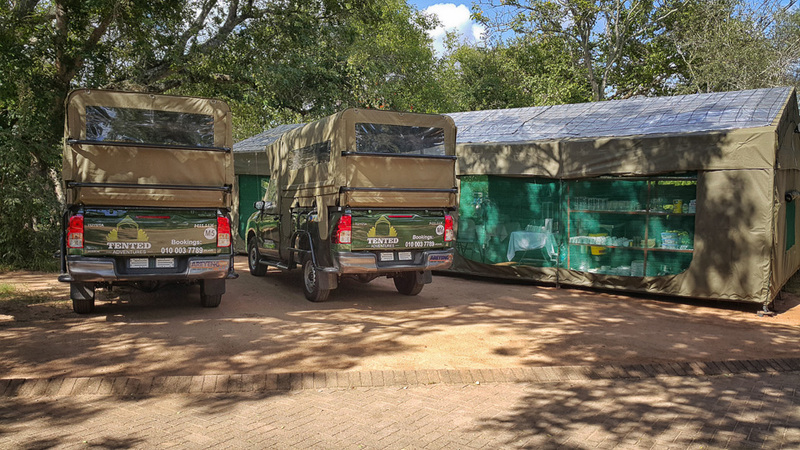 Game drives at Tented Adventures Pretoriuskop Tented Camp are usually in open 4 X 4 game vehicles, but we had a very different closed vehicle, which they had hired for the week as they were waiting for the vehicle registration papers to come through for the two new Toyota Land cruisers. 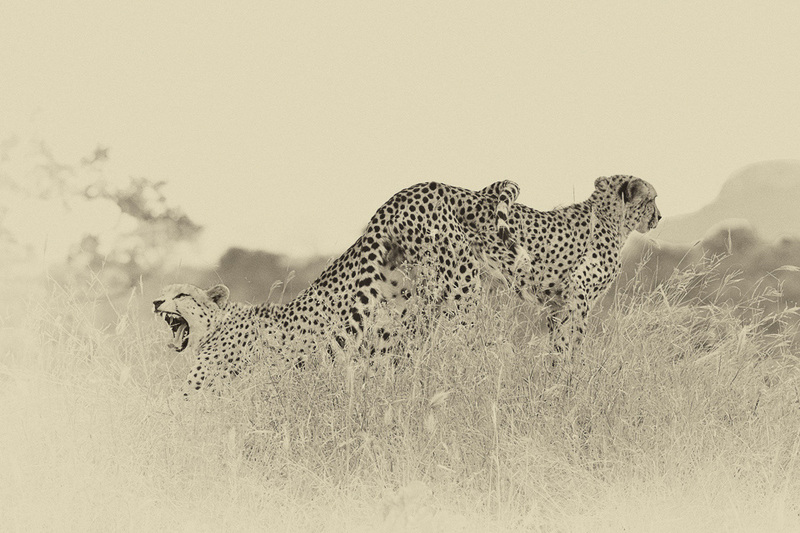 We were treated to breathtaking sightings - we saw the super-seven animals (big-five plus cheetah and wild dog) in 3 days. 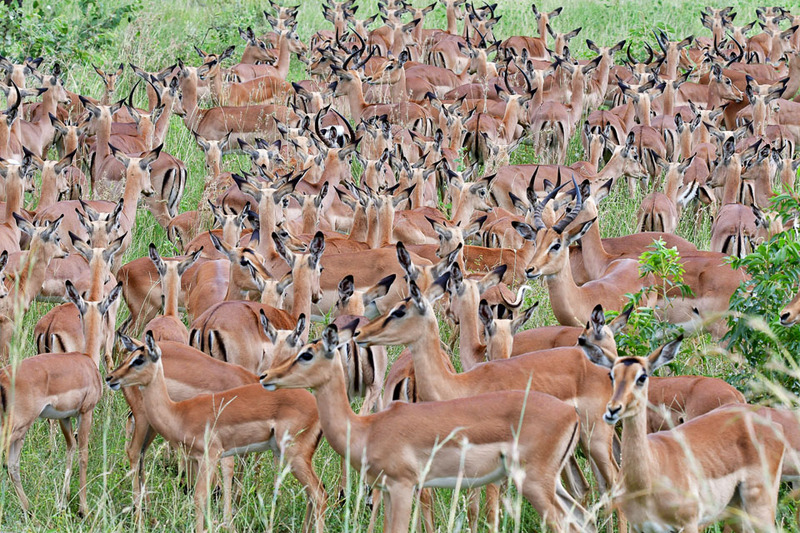 This is not an easy feat to accomplish - even at the expensive 5-star lodges we don't get to see all the big-5 let alone the super-7 animals! 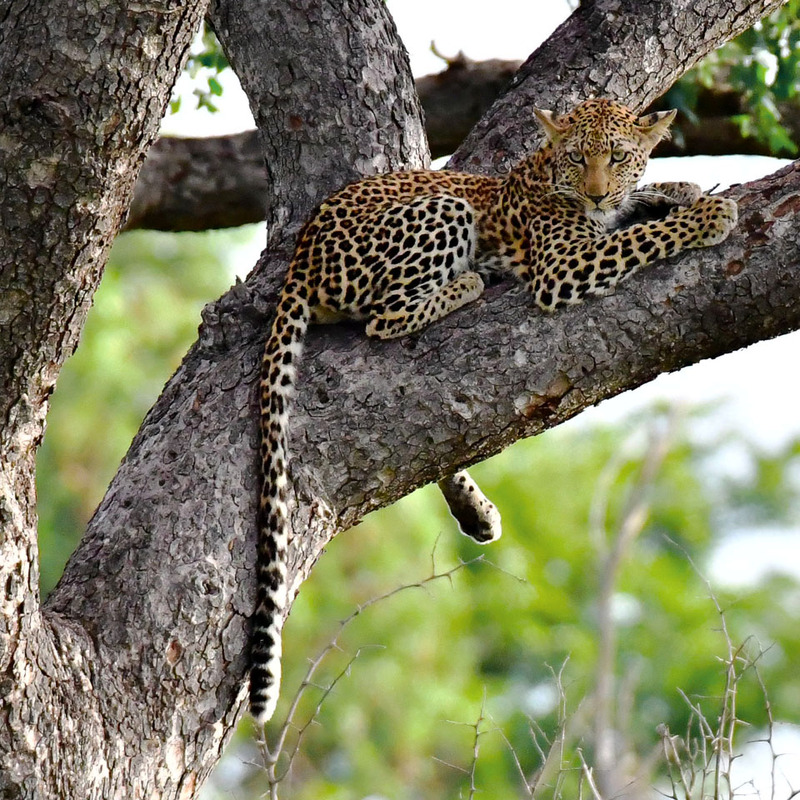 Photographing a leopard is serious business! 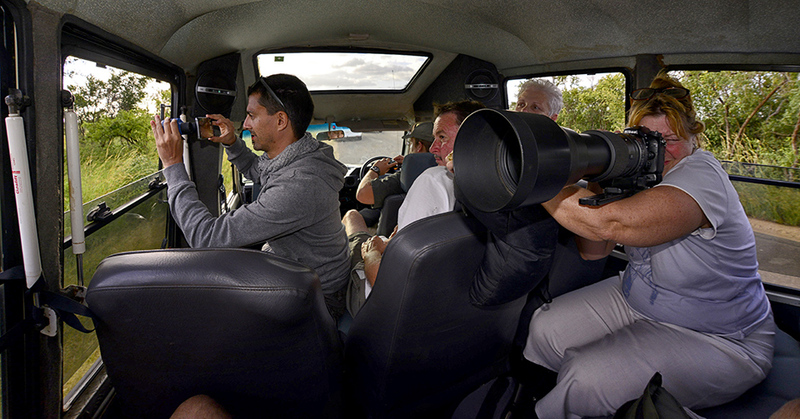 We even managed to get a few landscape images between all the animals and birds...! 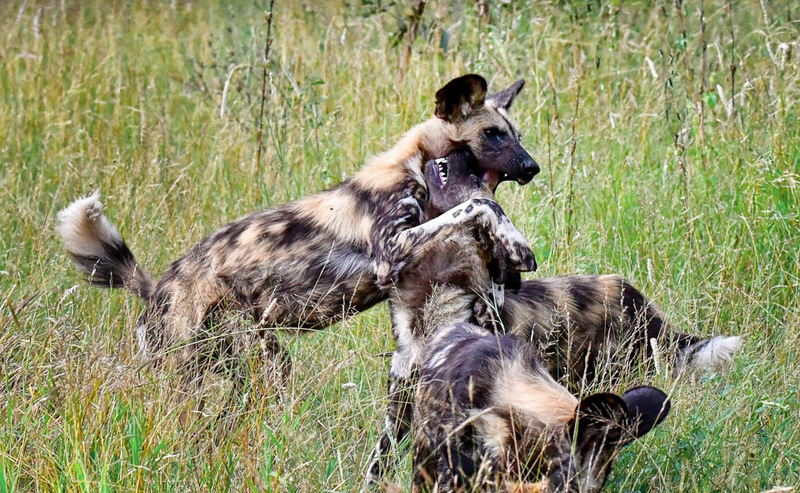 and we didn't ignore the small guys either...! 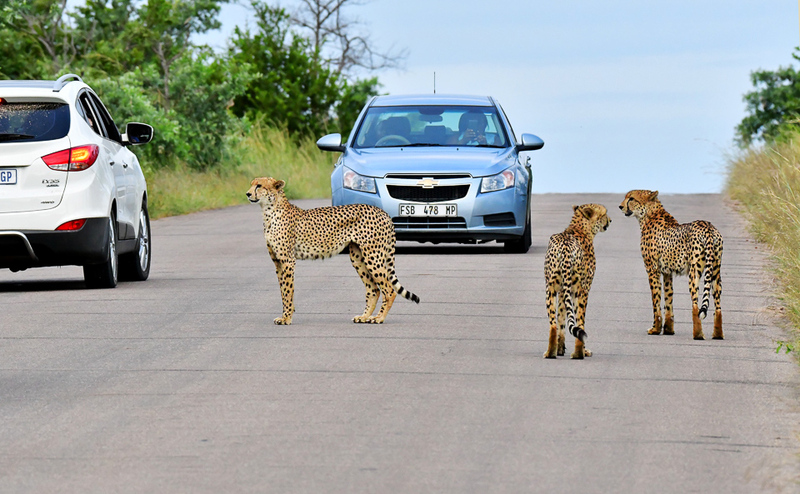 At most of the 5-star lodges guests generally queue for a sighting and then are allowed about 15 minutes to view and photograph. 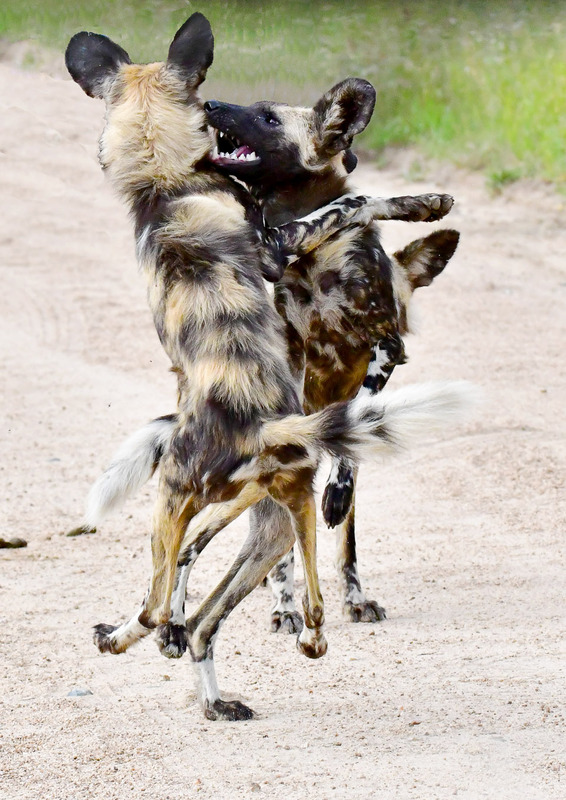 Driving on tourist roads, however, meant that we could stay at each sighting for as long as we wanted, so we spent about 40 minutes with the one lot of wild dogs and about two hours with the cheetah and her cubs, which enabled us to get super images. 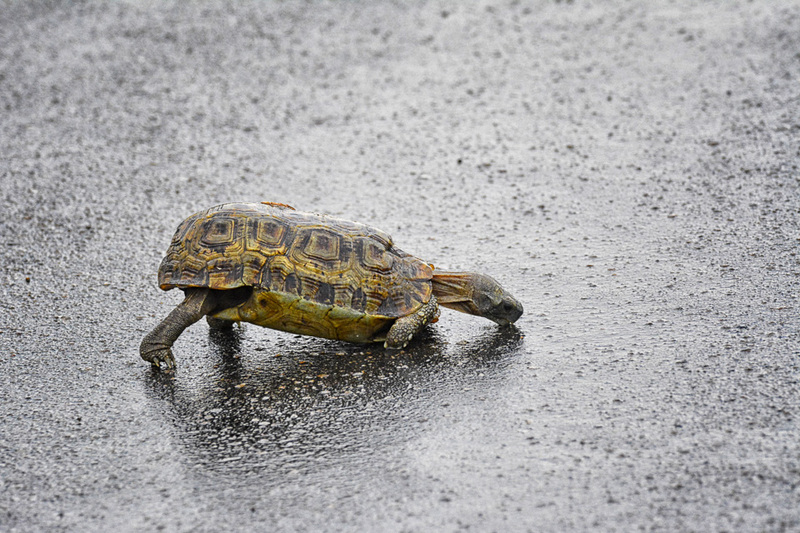 Our field guide was a breath of fresh air! 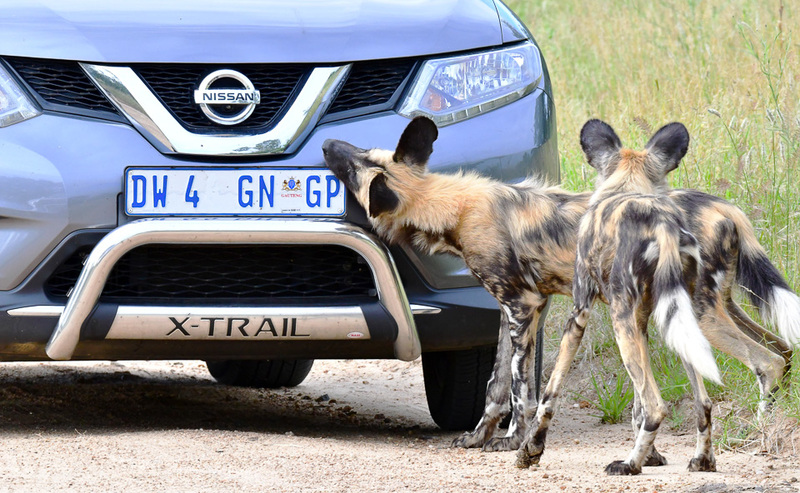 After experiencing mostly arrogant field guides at many other lodges, Darryl Sheedy at Tented Adventures Pretoriuskop, was a most welcome change. 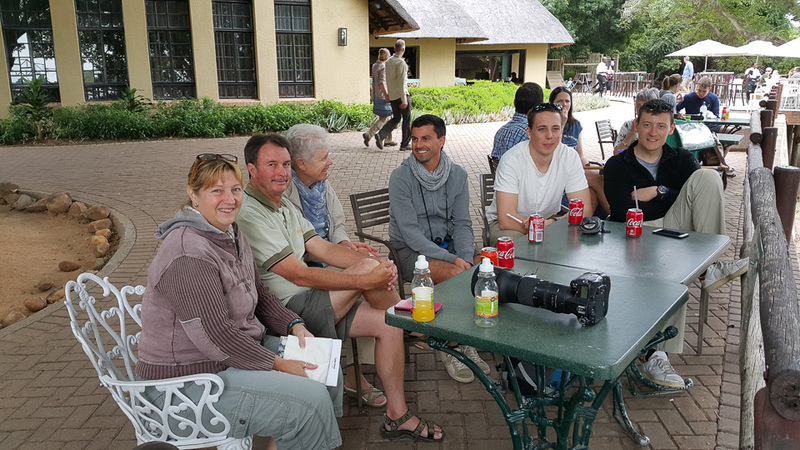 Darryl with his happy clients on top of Mathekanyane Koppie! 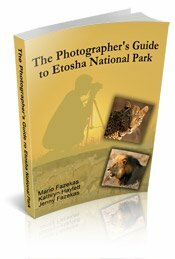 He is not only passionate and knowledgeable but humble as well - the ideal combination of characteristics for a field guide. 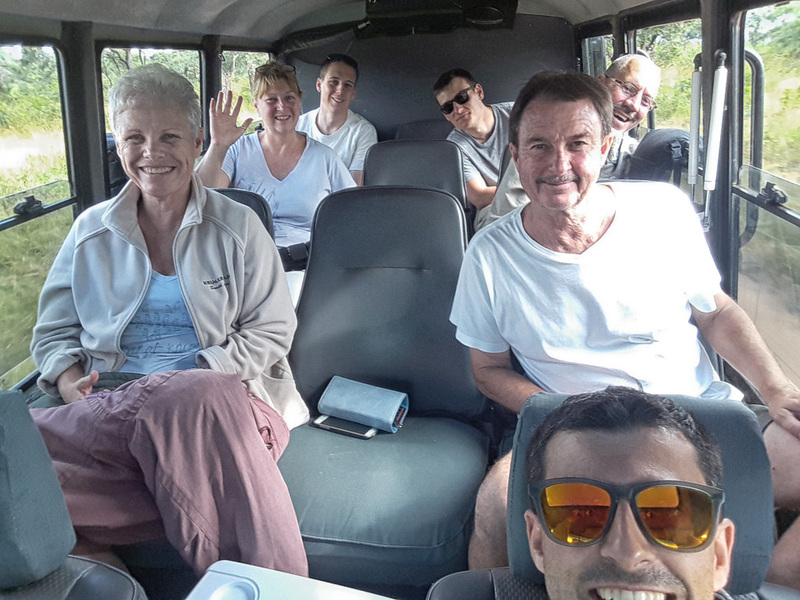 Dario (from Italy) said he had three amazing days in the bush with a spectacular group of people! 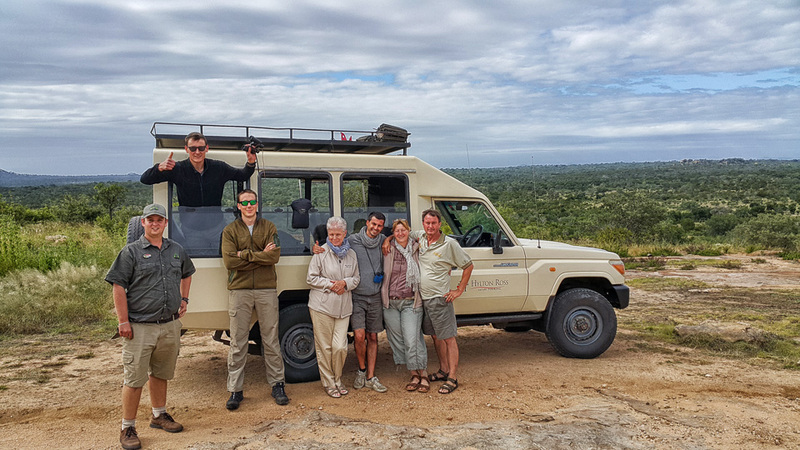 Eric and Lydia (from South Africa) have been visiting the Kruger Park for 37 years and rate this trip as their best. Dominic and Rasmus (from Switzerland) said they expected the camp to be uncomfortable and noisy (it's camping after all!) 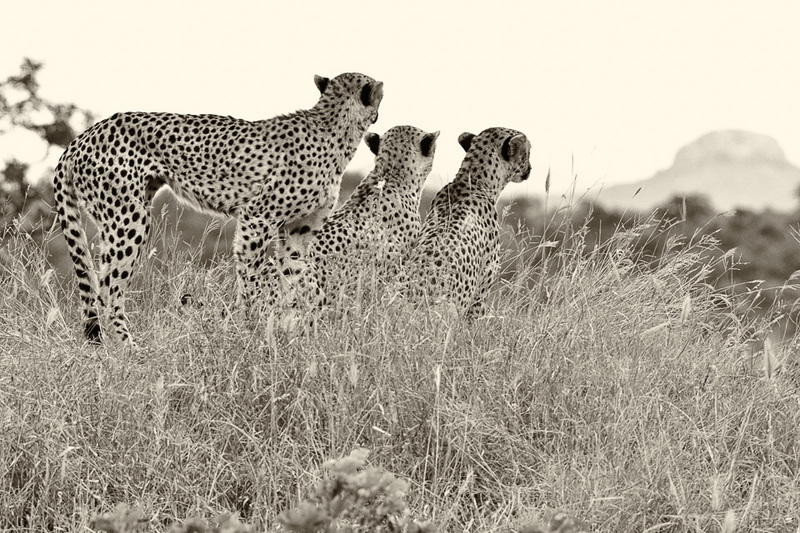 but instead they were amazed by the comfort combined with peace and quiet that they experienced. 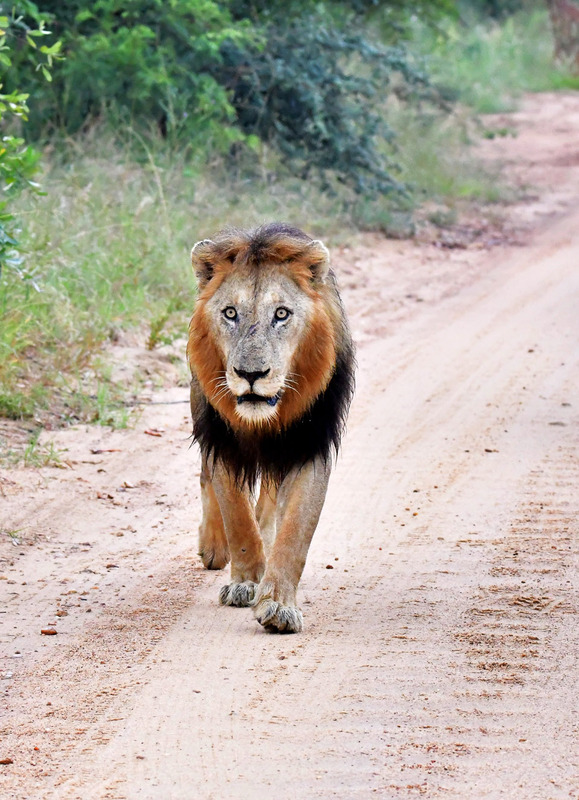 Jenny & I rate this experience as one of our best in over 20 years of visiting big-five safari destinations. 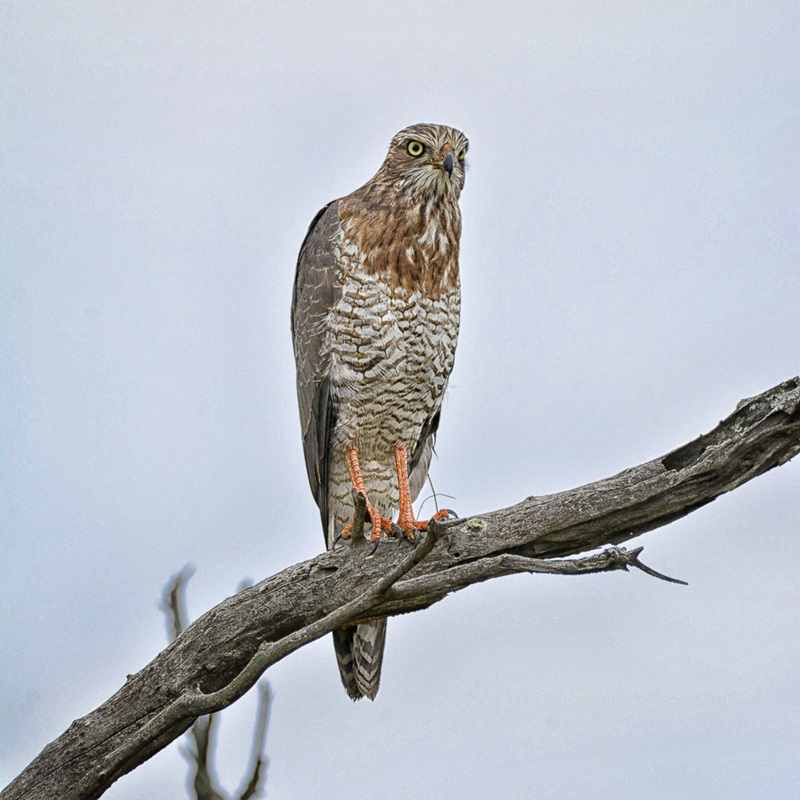 The food, staff, other guests and sightings were all fantastic! 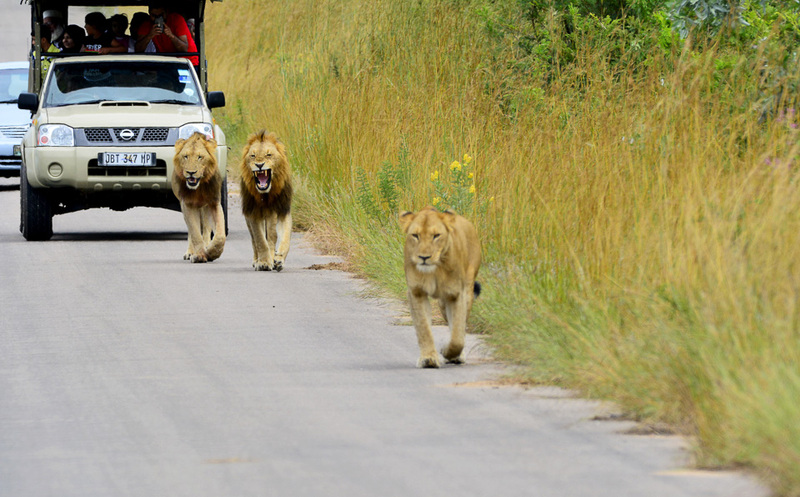 We highly recommend this safari destination! 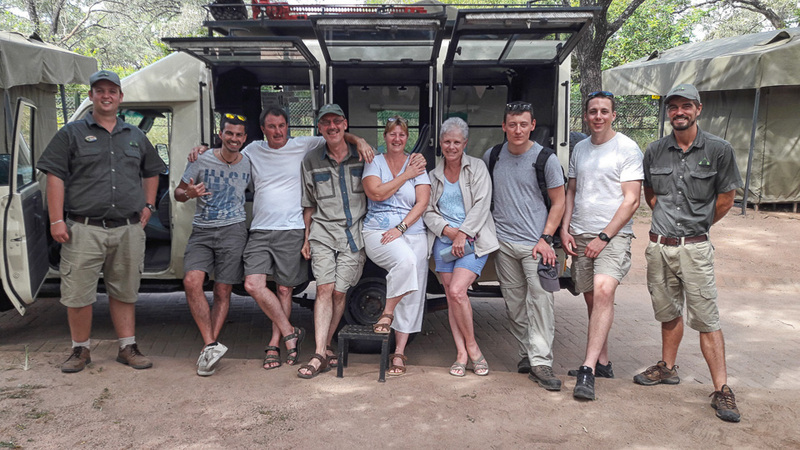 Thank you to the Tented Adventures Pretoriuskop team for a most memorable stay, we hope to be back soon. We did return a year later! 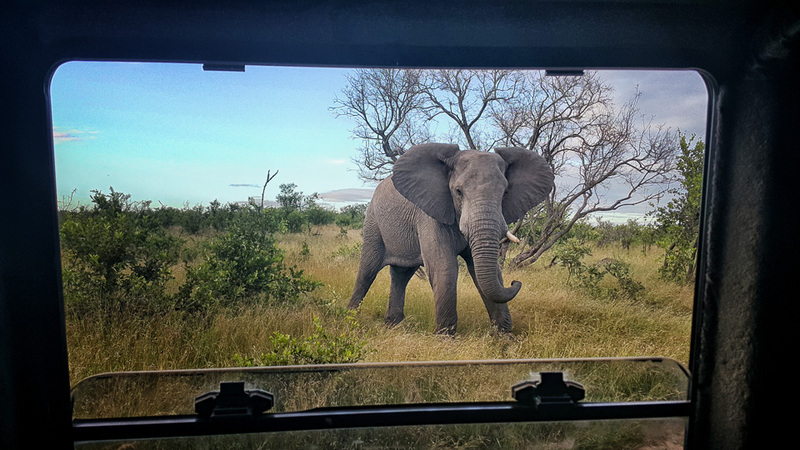 You can read our April 2018 Tented Adventures Pretoriuskop trip report here.